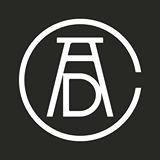 ADC is looking for Awards Associates for a 5-month project—early January through May 2016. We require administrative assistance for the ADC’s Annual Awards competition and successive ceremonies. As the competition runs on a web-based entry system, the ideal candidate must be tech and web savvy. While the position is a temporary one, ADC Awards Associates have often continued on as fulltime ADC staff. This includes Emily Mulholland, ADC’s Events & Production Manager; Kim Hanzich, Awards Information Manager; Louie Jimena, Awards Manager; and Jen Larkin Kuzler, Director of Awards Programs for ADC. Responsibilities will include database maintenance, correspondence via email and phone with entrants, processing entries, facilitating judging sessions both online and in person, and general office duties. He/She will report to the Awards Manager and Director of Awards. Additional qualifications include: prior work experience in an office environment, proficiency with both Mac and Windows platforms, familiarity with KeyNote and FTP servers, acute attention to detail, internet research, phone etiquette, and excellent written and verbal communication skills. An interest in Advertising and Design is a plus. Candidates must have a flexible schedule, as this position may include domestic travel.